When I was approached by First National Bank (FNB) last year and asked to work with them on their #WeGrowAsOne Campaign, I hesitated because let’s face it, banks aren’t considered the purveyors of fun. Photo provided by Boulder Humane Society. However, I did know that FNB was very involved in festivals and community events and my personal FNB branch, where I’ve been banking for nearly a decade, is like “Cheers” — everyone knows my name and they always inquire about my latest HeidiTown adventure. After some pondering, I realized that FNB really does understand fun, and the Grand Opening of their new location in Boulder, Colorado, is proof. During its Grand Opening week, they’ve planned all sorts of community events that will bring people and local businesses together. Photo provided by the Boulder Humane Society. The new branch is located at 4770 Table Mesa Drive in the southwest part of Boulder. Each day, Tuesday, February 27, through Saturday, March 3, a local business will be highlighted and goodies will be provided for guests. Here’s the lineup of what’s happening at the Grand Opening at First National Bank, Table Mesa. On Tuesday, February 27, enjoy complimentary breakfast burritos, fruit, pastries, coffee and tea, as well as gluten-free options from Bridge House Community Table Kitchen. The Community Table Kitchen, launched in 2013, has a twofold mission of combining a commitment to feed the hungry with a commitment to providing jobs to Ready to Work trainees as a stepping stone out of homelessness. Learn more about this organization by visiting BoulderBridgeHouse.org. In addition to breakfast, FNB will be giving away dual-port USB wall chargers to the first 200 guests on Tuesday. Wednesday, February 28 is all about the CU Buffs. 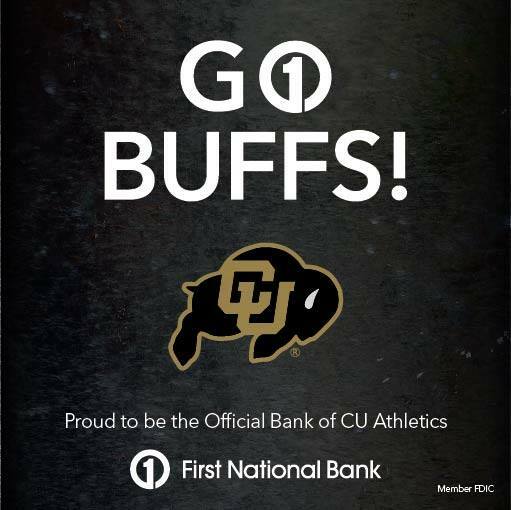 As an “Official Bank of CU Athletics,” FNB is always cheering on black and gold. Be one of the first 200 guests to stop by the new Table Mesa branch and you’ll receive a GO BUFFS plush banner. While there, don’t forget to enter to win a VIP Experience on September 8, 2018, at Memorial Stadium in Lincoln, Nebraska as the Buffs take on the Huskers for the first time in a decade. The Thursday, March 1, the Grand Opening event isn’t happening at the bank at all, but at the nearby Sinclair gas station at 4742 Table Mesa Drive. Can you believe that FNB has been in business 160 years? That’s quite an accomplishment and to celebrate they are partnering with Sinclair to offer $1.60 per gallon on unleaded gas between 10 a.m. and 1 p.m. Passenger vehicles only, please. 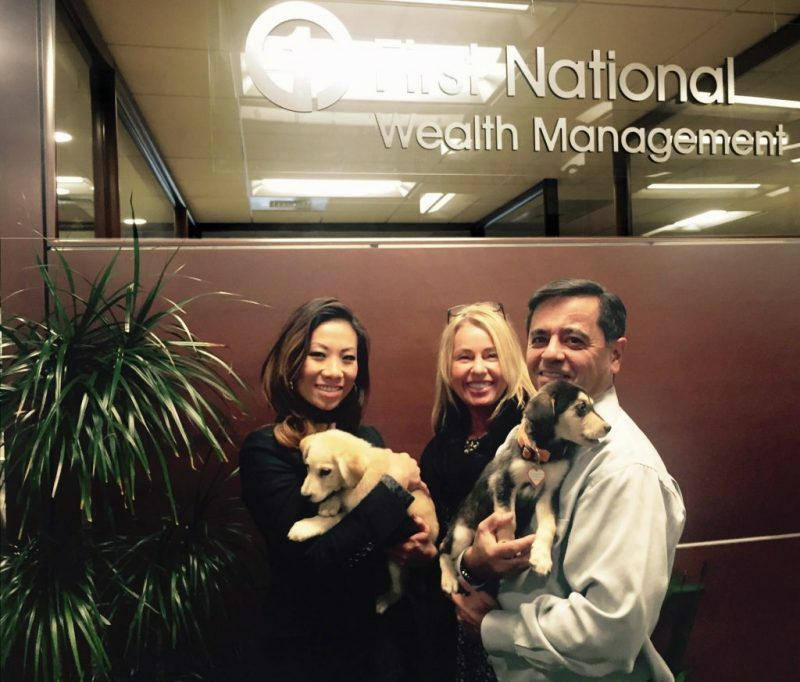 The fourth day of this FNB Grand Opening party is all about the furkids — my favorite! On Friday, March 2, The Humane Society of Boulder Valley will be onsite from 3 to 5 p.m. with adoptable dogs. During the day, they will be giving away free leashes and pet bandanas to the first 200 visitors. 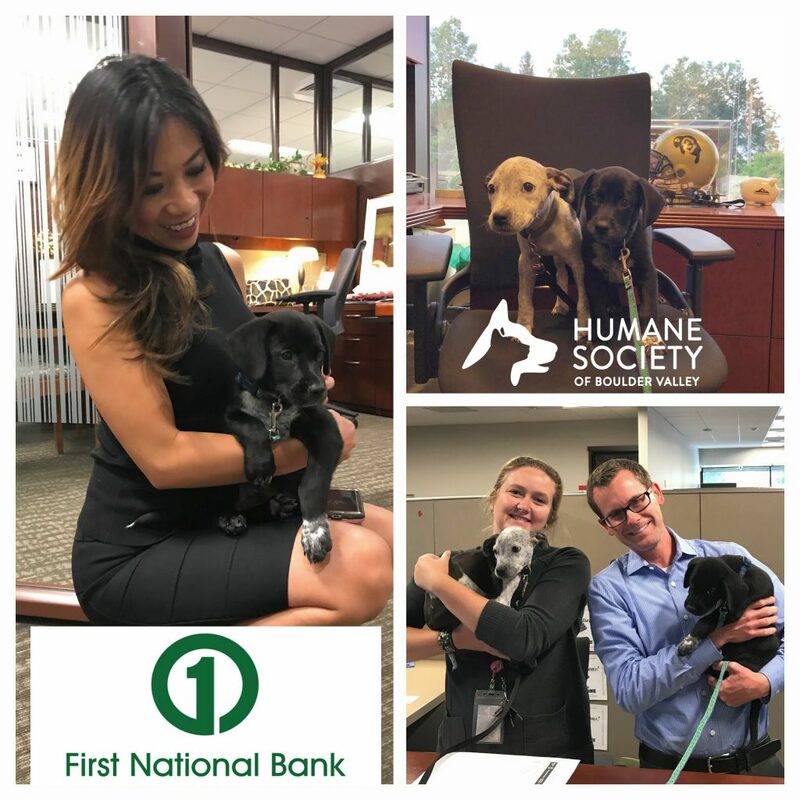 FNB is the official bank of The Humane Society of Boulder Valley. 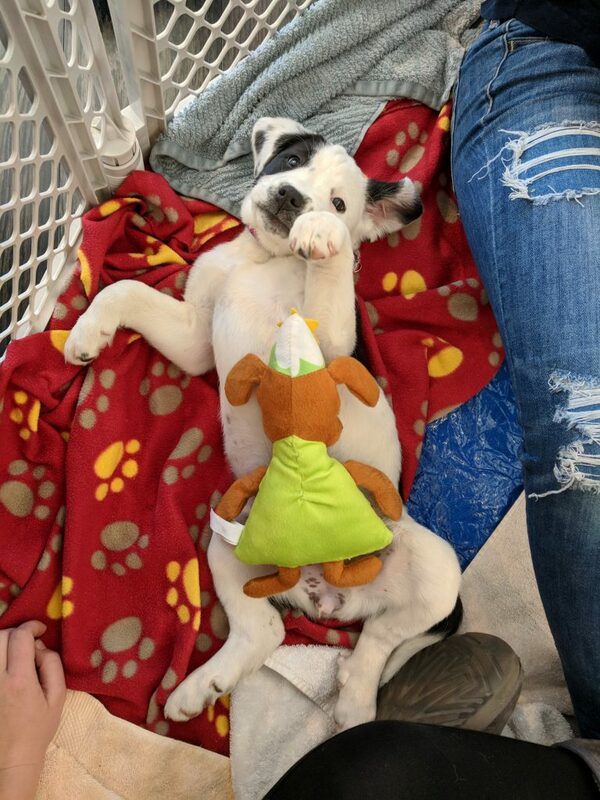 This incredible organization cares for more than 7,000 animals each year and, astoundingly, successfully adopts out or reunites with their humans, 95 percent of these dogs, cats and small furries such as hamsters and rabbits. 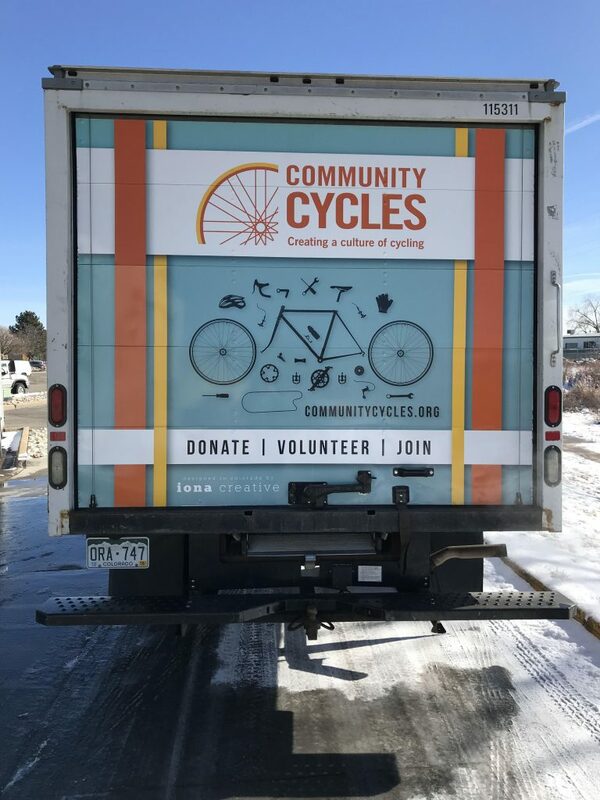 On the last day of the Grand Opening, Saturday, March 3, Community Cycles will be at the bank to provide free bike safety checks and advice on bicycle care. In addition, the first 200 guests will receive a free LED bike light. Hop on your bike and come join in the fun at 4770 Table Mesa Drive on Saturday! When you visit the new bank in Boulder, be sure to take a look around. The 40-year-old building received a massive facelift that included using a major amount of “green” building components such as reclaimed wood planks as accent walls, photovoltaic panels and more. 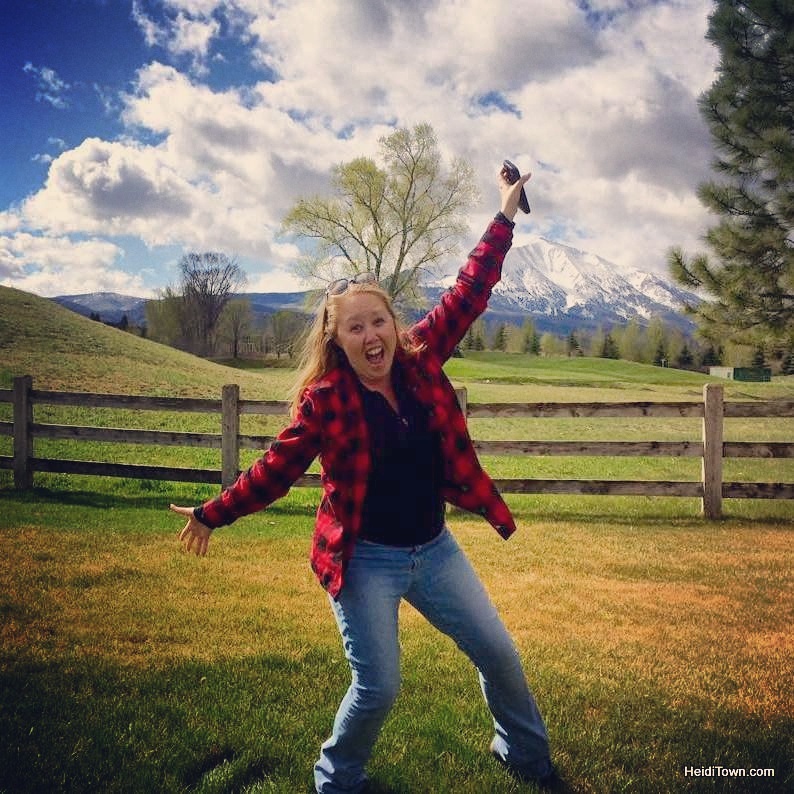 This blog post is sponsored by First National Bank. Click here to read all of my #WeGrowAsOne posts sponsored by FNB.